Remember Valentine’s Day back in elementary school? You found the box of valentines in the seasonal aisle of Walmart with your favorite character on the front, begged your mom for them, punched them out yourself, carefully matched the recipient on your class list with the cheesy phrase that matched your temperature of friendship, and you sealed it with a sticker. Maybe in middle school you sent a carnation to your crush for $1. Perhaps you decorated your boyfriend or girlfriend’s locker on Valentine’s Day in high school. But now, as a parent, Valentine’s Day is just another mom-guilt-inducing, Pinterest-shaming, high-stress holiday. 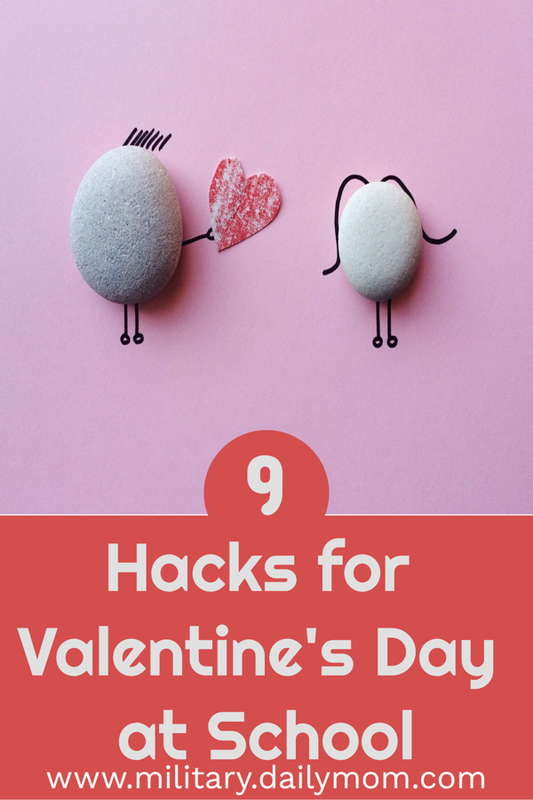 But there are some tricks to this parenting thing we’ve learned over the years, and since Valentine’s Day is coming, we’re sharing our favorite heart-shaped hacks with you. Children are not born with elaborate ideas in their heads for Valentine’s Day boxes and amazing, chocolate-filled cards. They learn that from us. When your child is young, start simple and keep it simple, just like you do for Christmas and Thanksgiving and that birthday party that comes around once a year — trust us. You know it’s coming. 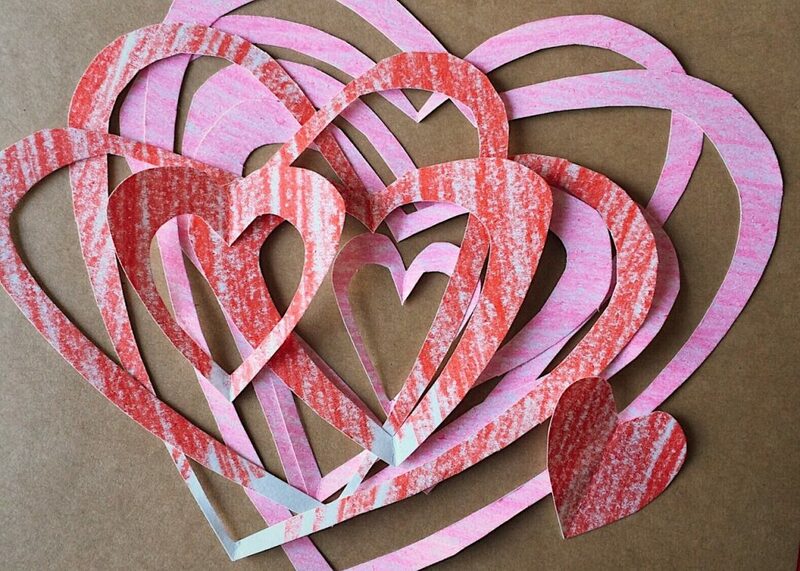 Start working on these valentine projects right now — today. You don’t need to wait on a list of kids’ names or know what exactly the teacher is planning. You can start now. When that SignUpGenius email comes out for the class party, jump on it right away, and pick the easiest things — napkins, plates, juice boxes. Pick something that you can easily add to your grocery pickup and something light enough for your child to bring to school on their own. Hop on Amazon or Target.com and order them now. Even if you put off assembling and signing them until the night of the 13th, you’ll rest easier knowing they are safe inside your house and you don’t have to fight the mobs Valentine’s Day eve. We love some of these dollar store jar ideas for Valentine’s Day for teachers if you’re feeling creative. Or, you can grab something off our awesome gift guides. We also know that teachers like gift cards and coffee. 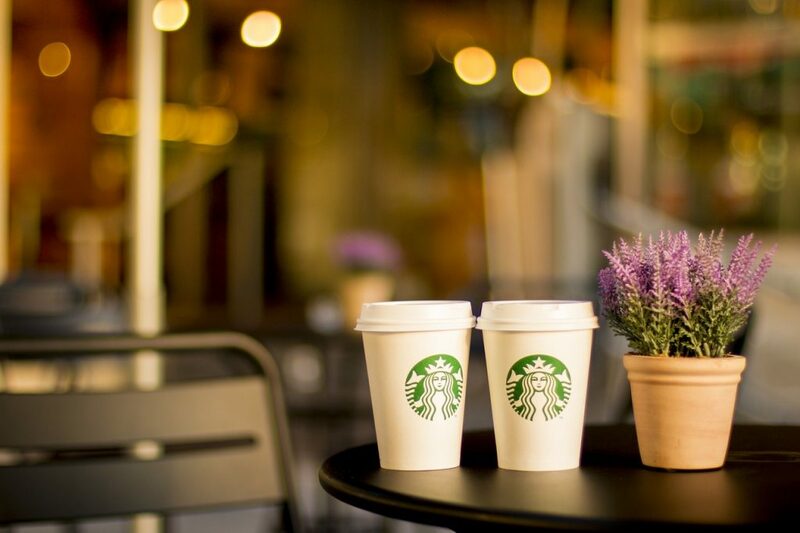 So don’t hesitate to drop a cute “Thanks a Latte” note with a Starbucks gift card for each teacher, aide, and bus driver. Printable coloring pages, especially those with adorable heart-shaped designs, also make great cards. For kids that want to help with their class valentines but aren’t quite old enough, they can color while you make the cards. Writing your child’s name 20 times while making cards isn’t the worst thing in the world, but when you have more than one kid, it gets annoying quickly. Consider a name stamp for this. As an added bonus, you can use it each year and for birthday invitations, decorating care packages, and everyday fun. Those “Hey, let’s create a fun box for Valentine’s Day cards as a family,” activities exist to drive parents to the brink of insanity. No one actually keeps a shoebox around these days because they do not actually spark any joy whatsoever. But, if you have a brown paper bag and some cookie cutters, markers, and stickers, you’re set. Have your kid design their own card collection box — err, bag. Some wise military spouse mom shared this tip a few years ago, and teachers probably appreciate it, too. Don’t address the cards to each student in the class. Just sign your child’s name on each one. That way, they can be distributed quickly —plus, it saves you time, which is really what these hacks are all about, after all. We’ll be the first to tell you that skipping Valentine’s Day is OK. But, since none of us will actually do that (we talk a big game, though, don’t we), we wanted to give you some ideas to make this easier. 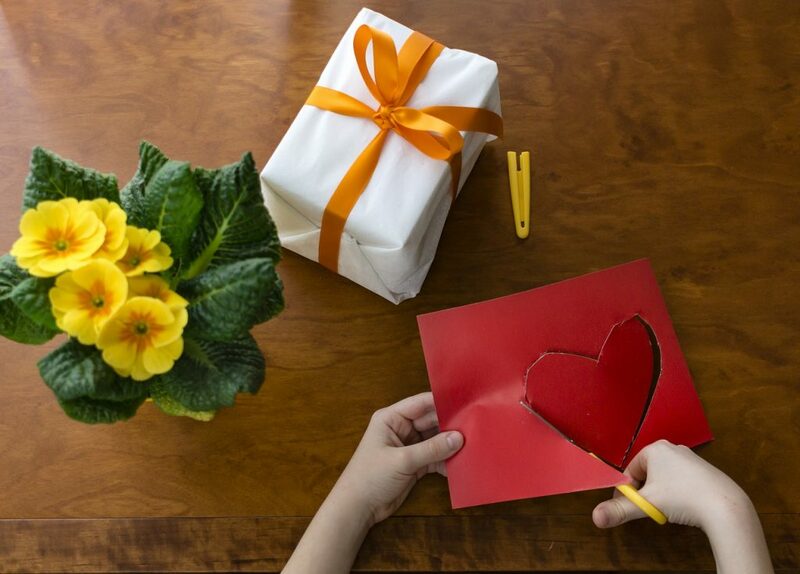 Let us know what you did from our list, and clue us in on your favorite Valentine’s Day hack. We may just need to borrow it ourselves. Need some last-minute Valentine’s Day gift ideas? Get your Amazon Prime in the ready position and shop our Valentine’s Day Gift Guides.